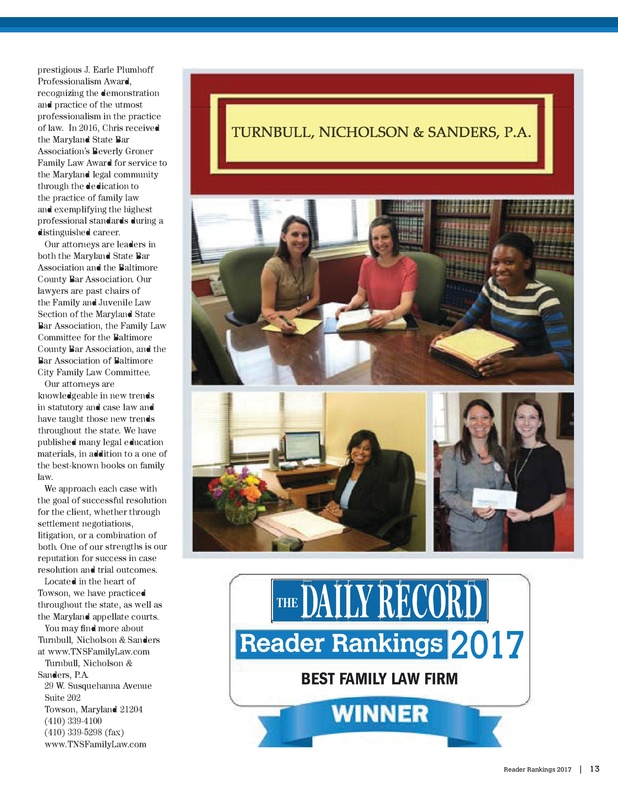 Best Family Law Firm – The Daily Record Reader Rankings 2017 | Turnbull, Nicholson, & Sanders, P.A. 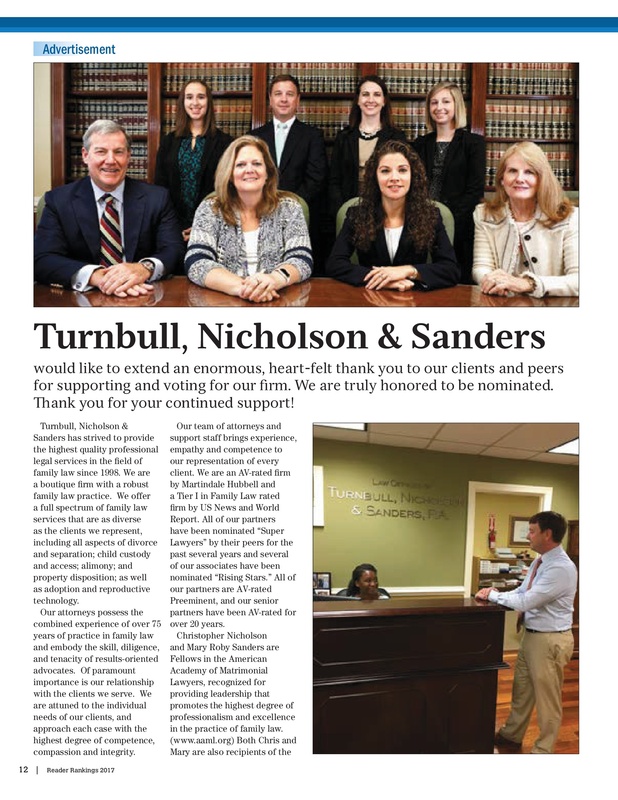 Turnbull, Nicholson & Sanders, P.A. is honored to announce that we have been chosen as the “Best Family Law Firm” of 2017 by the Reader Rankings of The Daily Record. This is an incredible recognition in our field, and we sincerely thank all those who voted for us and supported us in this great achievement. Fill out our Quick Contact form to get in touch with a TNS attorney.